Iraqi government forces claim to have made gains against ISIL, on the first day of a long-anticipated offensive to retake the northern city of Mosul. Footage showed several giant explosions, thought to be ISIL suicide car bombs, rocking the battlefield. 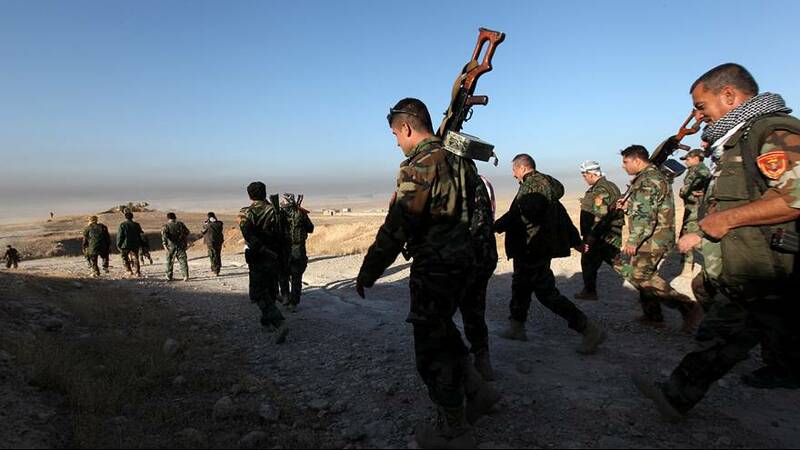 Kurdish fighters are taking part in the advance, which has been months in the planning. It took ISIL just four days to capture Mosul during its blitzkrieg advance across Iraq in 2014. It is expected take weeks, maybe months, to get it back. Turkey, which also has troops in northern Iraq, says it is watching events closely. In addition to Iraqi troops and Kurdish Peshmerga fighters the US led coalition advancing on Mosul also includes Shia militia and Sunni tribal groups.